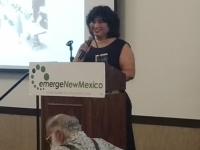 Rep. Doreen Gallegos was selected as one of three “2017 Women of the Year” by Emerge of New Mexico, a group that works with and support women in politics. Getting to work for the 2017 Interim committee process. 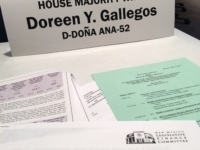 I will be serving on Legislative Finance Committee, Legislative Council, and the Legislative Health and Human Services Committee.